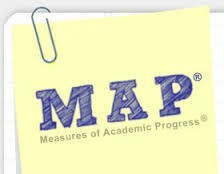 This year the MAP test will be used for retention meetings, Honors course selection, and to determine areas of focus for classroom, after school, and Saturday tutoring. Therefore, it is imperative that students do their best on the MAP test. Students on Grades 6-8 must score in both Reading AND Mathematics NWEA MAP testing at or above the 10thpercentile at least once throughout the current school year. Our campus may apply for a waiver for the NWEA MAP promotion standard (as low as 7th percentile) within our district. If a student passes STAAR assessments in Reading and Mathematics then that student will be exempt from the NWEA MAP promotion requirement.